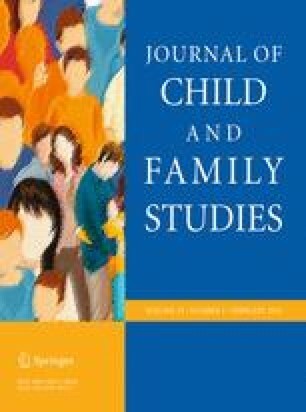 Does Maternal Fatigue Influence Maternal Verbal Control in a Stressful Parenting Task with Toddlers? Research has found that maternal fatigue can negatively impact mother–child interactional patterns. In this study, it was hypothesized that a mother with more fatigue would have fewer positive verbal strategies and more negative verbal strategies while guiding her child’s behavior. The participants were 34 mother-toddler dyads. The Patience Task, a task where mothers were told that their toddlers could not touch a desirable toy for 8 min, was used to observe how mothers verbally guided their toddlers’ behavior. Using a coding scheme developed by Koenig et al. (Child Dev 71:1018–1032, 2000), the frequency of positive verbal control strategies included requesting the child perform or stop performing a behavior (polite do); hinting to the child that they should stop a behavior (hint do); praising the child in order for a behavior to continue (positive evaluation); requesting the child behave a certain way in exchange for something (bargaining); and sympathizing with the child to show an understanding of the child’s feelings (empathy) was coded. The frequency of negative verbal control strategies included chastising the child for not following directions (negative evaluation) was also coded. Higher levels of maternal fatigue were associated with mothers using fewer polite dos (r = −.32, p = .07), hint dos (r = −.37, p = .04), and positive evaluations (r = −.31, p = .08) during the Patience Task. Sleep deprivation was associated with polite dos (r = −.52, p = .00), hint dos (r = −.46, p = .00), and bargaining (r = −.39, p = .03). Using hierarchical linear regression, fatigue and child temperament covariates were associated with polite dos (F (2,29) = 3.23, p = .05) and positive evaluation (F (2,28) = 3.53, p = .04). Sleep and child temperament covariates were also associated with polite dos (F (2,30) = 7.51, p = .00) and hint dos (F (2,28) = 6.61, p = .00). This study contributes to our understanding of maternal fatigue and child factors that influence maternal verbal control strategies used to get toddlers to follow maternal directions.